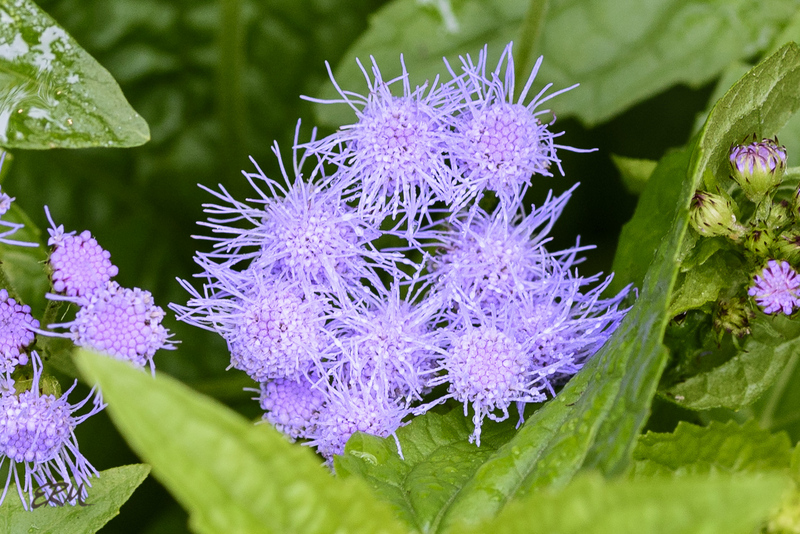 Next in the series of posts on composite flowers lacking ray florets is blue mistflower. 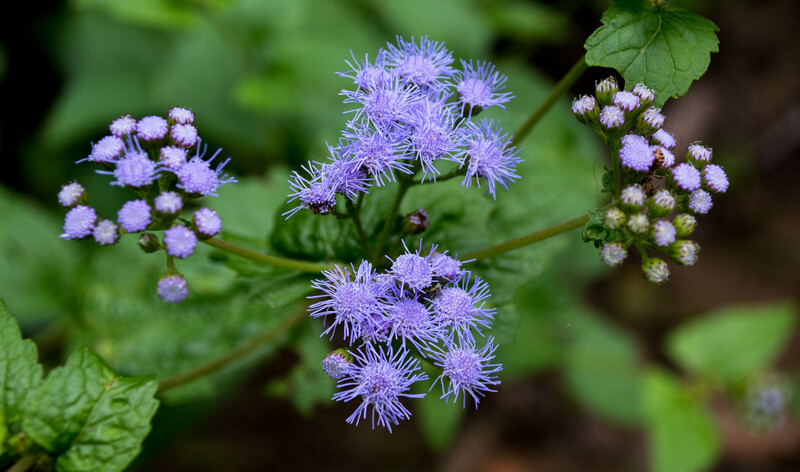 Like the joe-pye weeds, blue mistflower was once placed in the genus Eupatorium, but nowadays it’s known as Conoclinium coelestinum. The flowers are somewhat similar in appearance to joe-pyes, the heads of tightly clustered disk florets with long protruding styles giving the inflorescences a fine, feathery, misty look. 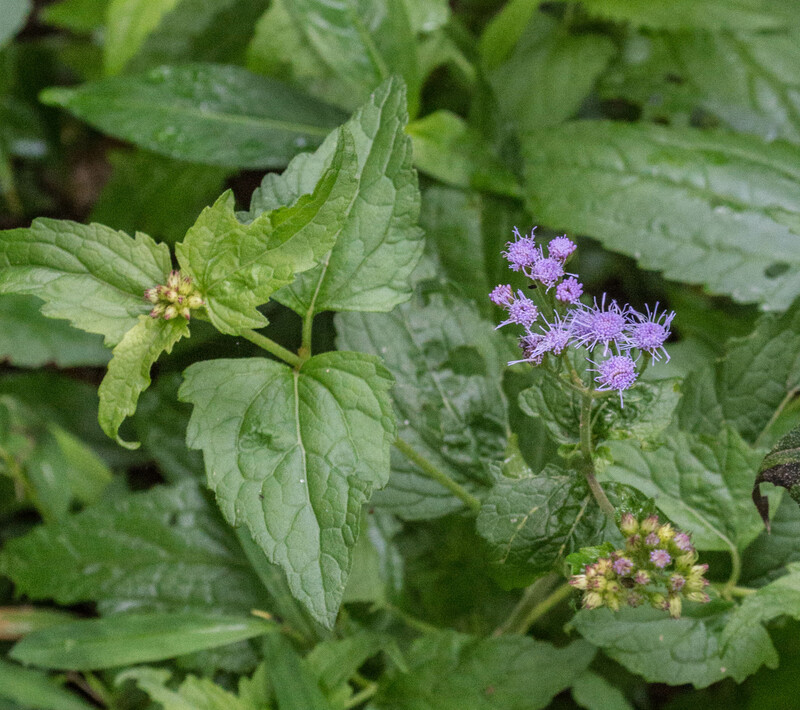 Also like joe-pye weeds, blue mistflower likes wet soils; along the banks of the Potomac River, if I see joe-pyes, I’m almost certain to find blue mistflower nearby. Unlike joe-pyes, the plants are short, getting to about two feet tall in ideal conditions. Speaking of the Potomac, I went back out to check on the spot I reported on last week, a place where in other years I would definitely find mistflower. It was all underwater again. Lots of rain upstream. 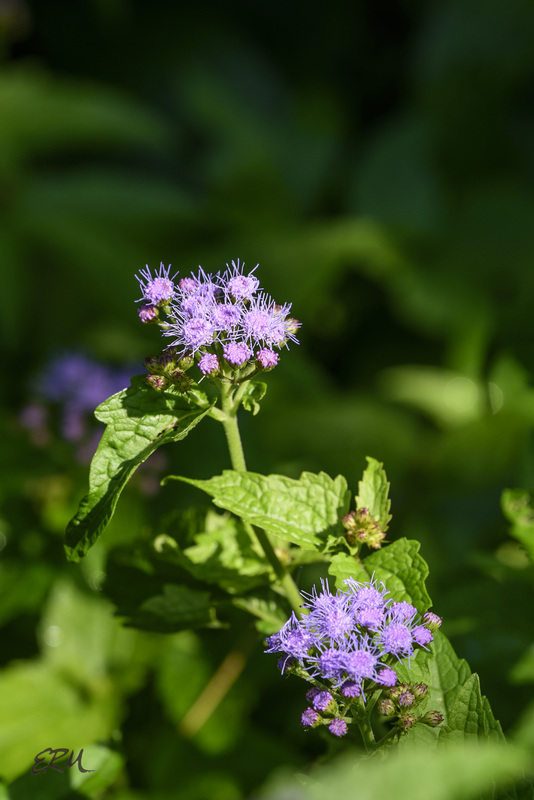 Blue mistflower ranges mostly along the Mississippi River basin and its tributaries, from southern Illinois south, and also in the eastern mid-Atlantic and the Carolinas. It’s found in most of Maryland except for the westernmost and easternmost parts of the state. 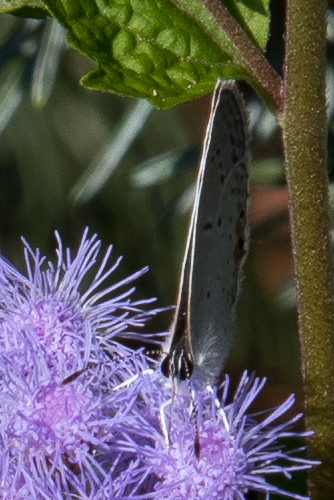 Apparently these flowers are a great nectar source for a variety of butterflies, but I haven’t seen many on it. Three years ago I wrote that I was worried that the blue mistflowers in my garden would become weedy*. “Weedy” is, of course, in the eye of the gardener. They certainly have spread, somewhat aggressively, and I’ve had to pull some out, but they haven’t reached weed status yet. Happy new year! I’m back, after a truly epic case of writer’s block. Not that there’s anything blooming to write about yet, since the local wildflower show won’t be starting until late February at the earliest, more likely mid-March if this winter stays as cold as it has been. Which has been pretty darn cold compared to the last five years or so, but not that unusual compared to, say, the past 50 years. 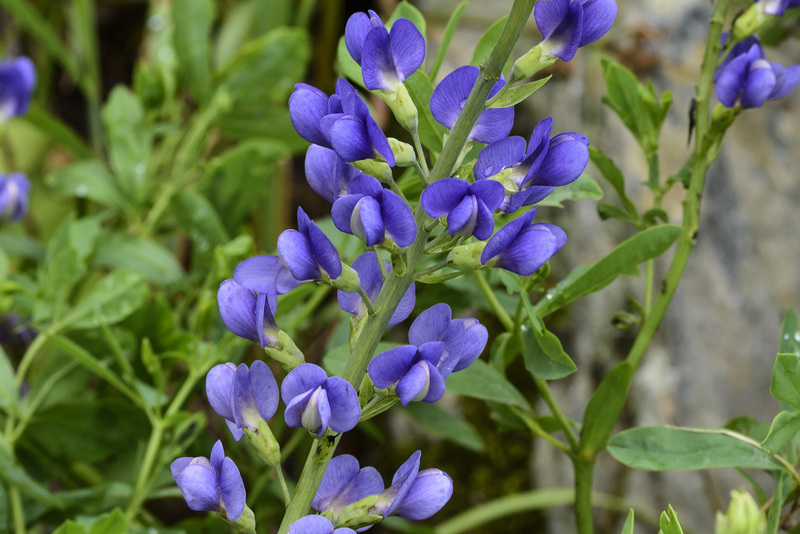 At any rate I’m fighting the winter blues by recalling blue flowers I found this past year. Here are a few from the Maryland Piedmont. This species is hibernal – the basal rosette of leaves will be out right now, though likely hidden under leaf litter. 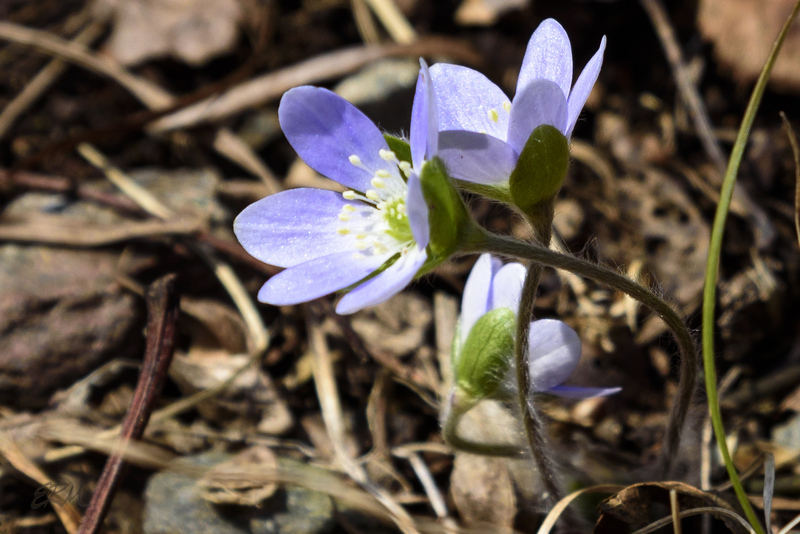 The leaves will die back as the small flowers appear just an inch or two off the ground. In the Piedmont I’ve seen them as early as early March and as late as mid April, though they don’t bloom for long; they just seem highly variable about when they start blooming. 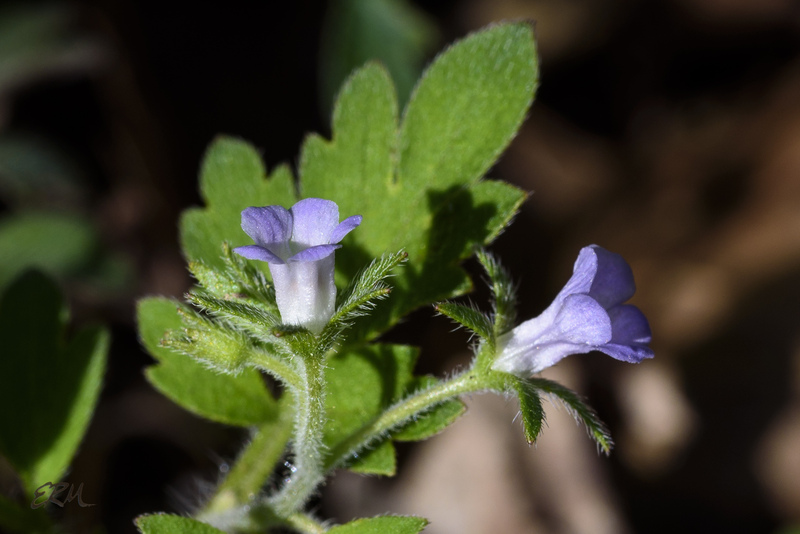 This species is found primarily in prairies, but also occurs in some prairie-like habitats east of the Appalachians, including bedrock terraces in the Potomac gorge. According to the Maryland DNR’s new RTE list, there are only a few populations here. It’s listed S2/Threatened. Finding it is a real treat. I’ve only seen this in a few places, always in rocky areas in a bit of shade, and there’s never much of it. Start looking in mid June. 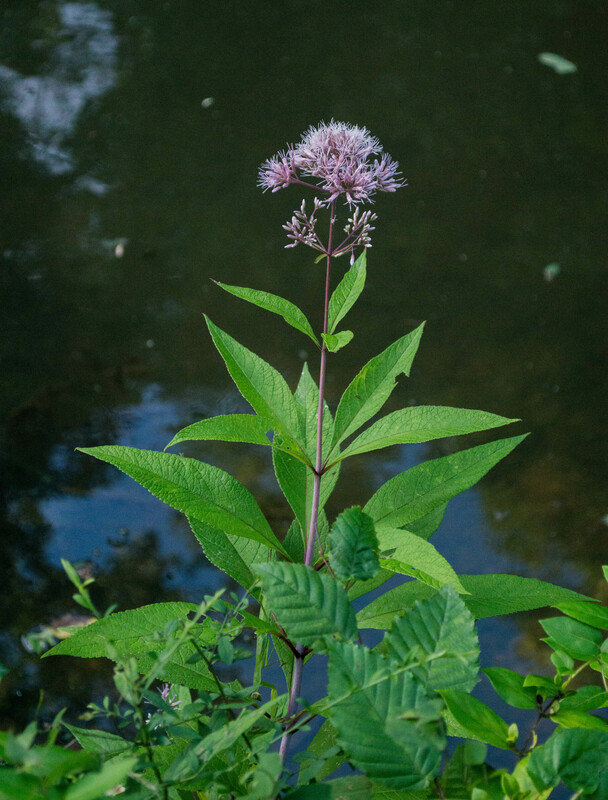 This medium-height plant blooms from June through September in wet soils next to the Potomac River – not right on the banks, but close by. 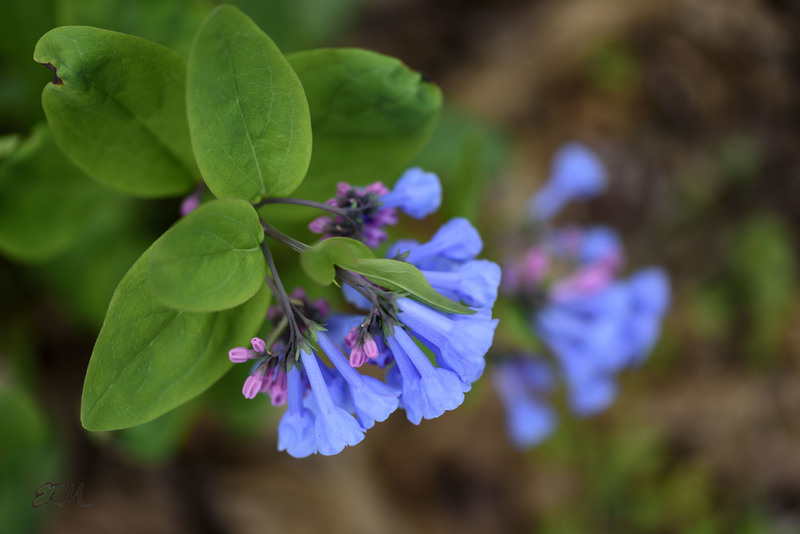 These tiny flowers bloom en masse in April and May in moist, rocky soils in open wooded areas. Sometimes you’ll see only a few, but other times you may find them carpeting a meadow. They are really tricky to photograph up close, as even the slightest breeze sets them in motion. 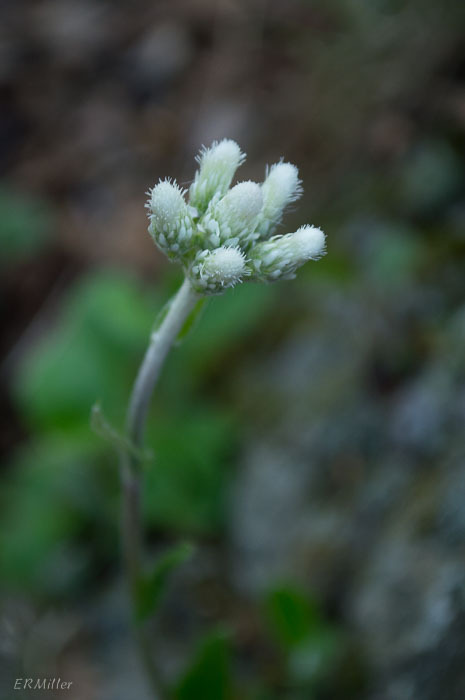 I’ve seen this species blooming in a rocky meadow in the Carderock area in October of the last few years, but also in open, rocky areas of the Billy Goat A trail – in June! These flowers drove me nuts in 2017. I posted many times about my quest to determine exactly which species it is. There are scattered stands along and near the C&O Canal from the Marsden Tract upstream to Widewater; look for it in late May or early June. 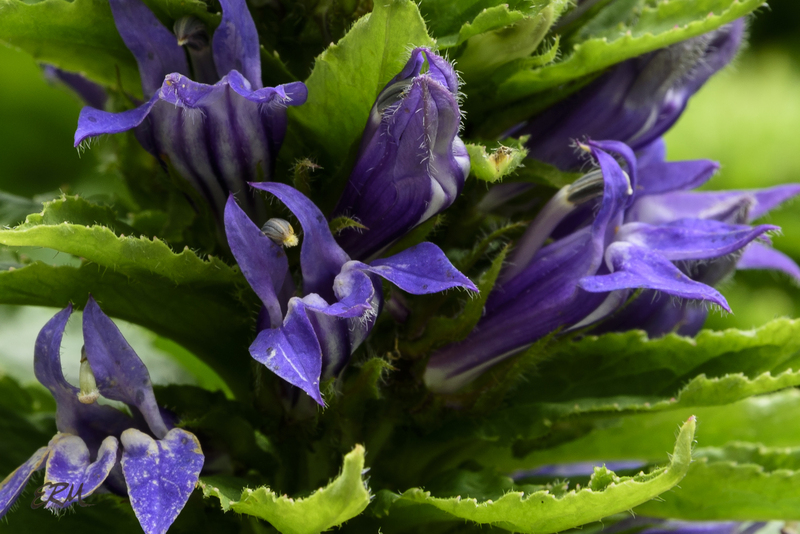 Lobelia siphilitica (great blue lobelia; Campanulaceae) stands dramatically tall on riverbanks. I’ve seen two stands of them along the Potomac: one just upriver of the American Legion bridge, the other near Fletcher’s Boathouse in DC. 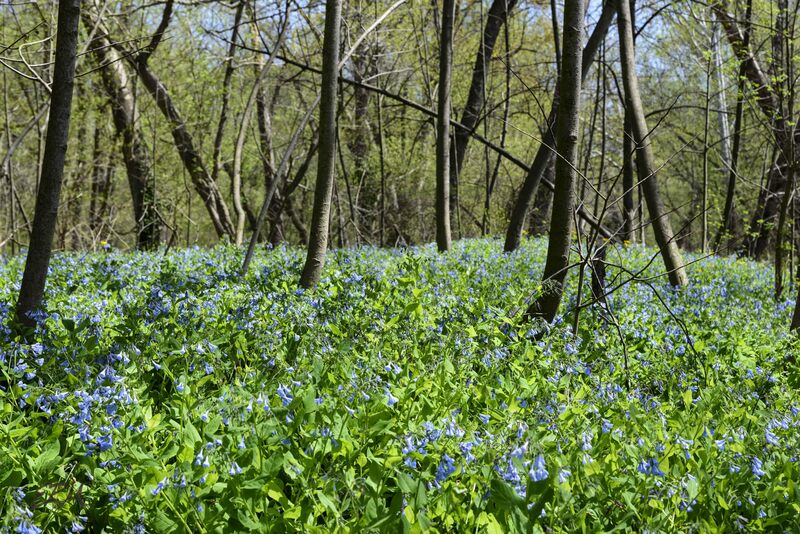 This spring ephemeral often grows in large swaths in floodplains, like in the lead-in photo above. The pink buds start turning blue as they open. This species can also flower in pure white, pure pink, and pale violet; I love hunting for these variations every April. 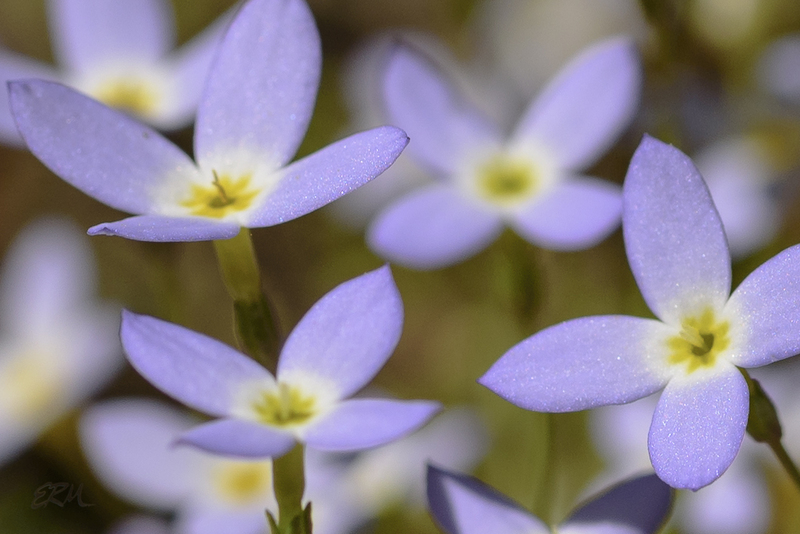 A short annual plant with tiny flowers that have to be seen up close to be appreciated. Currently listed S2/Endangered by the Maryland DNR, with a proposed change of status to Threatened. 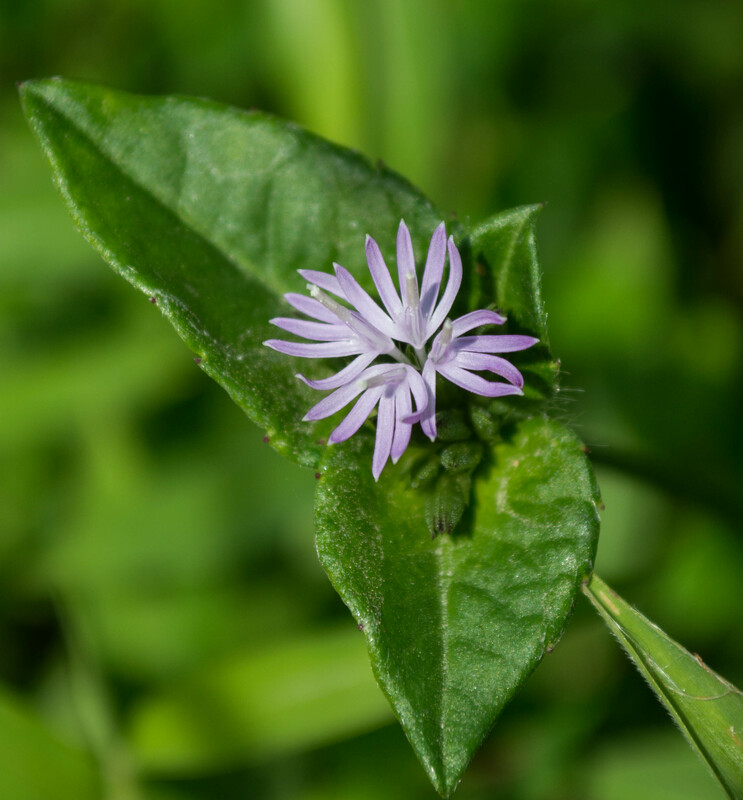 A fellow botanerd directed me to a large stand of this species last spring. 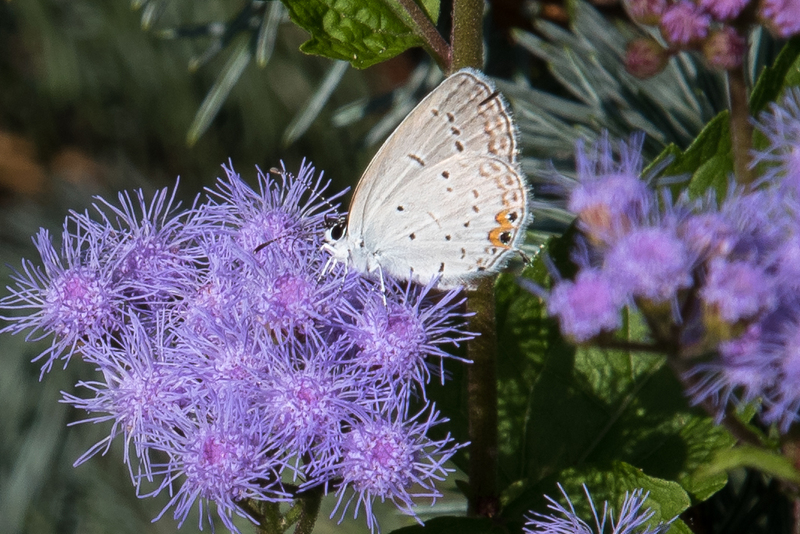 Most of those flowers appeared white, but up close a few had this pale blue cast. Listed S3 in Maryland. I’ve found only three stands of it between the Potomac and the Billy Goat B and C trails. 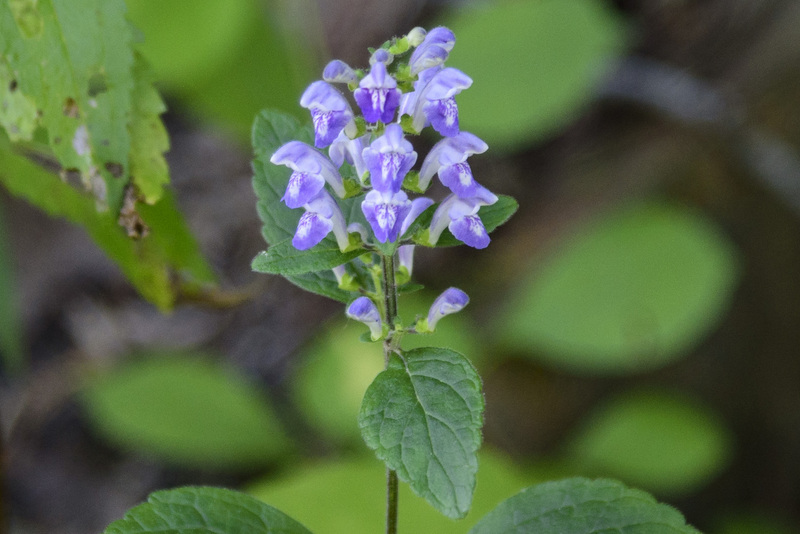 Look for sparse stands of these from Carderock to the Marsden Tract, in rocky soils where the woods aren’t too dense. In some lighting situations this flower looks more purple than blue, but oh well. I’ll cover purple flowers in a future post. 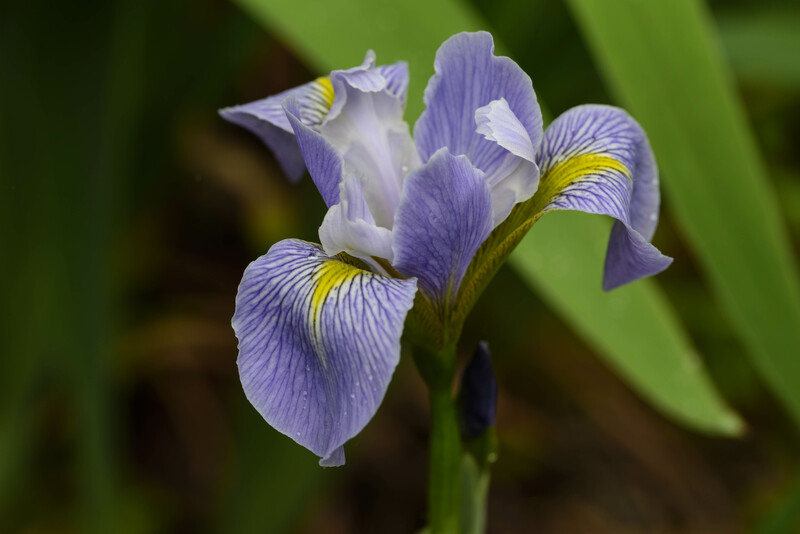 The plant has iris-like foliage: broad blades with parallel veins. 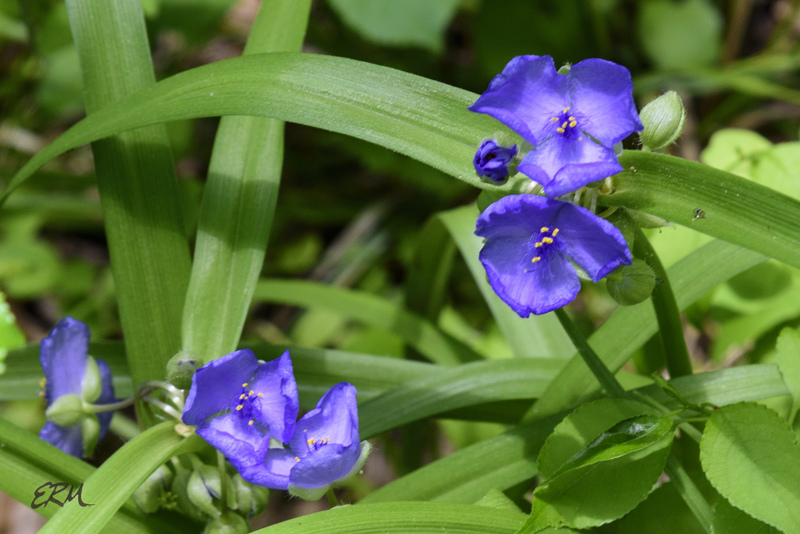 The three-petaled flowers are another clue that this plant is a monocot. Which gives me an idea for another future post. Did you know that there’s a word for the study of the Asteraceae? It’s synantherology. And, a person who studies the Asteraceae is a synantherologist. 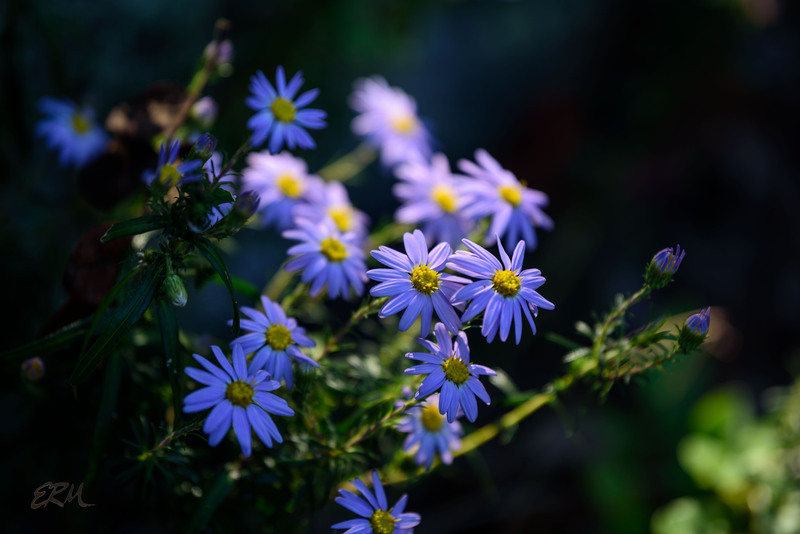 I was going to write a post about the lower orders of classification within the aster family. But it ends up being unusually complicated, with various authors positing sub-families, super-tribes, tribes, sub-tribes, and even sub-genera as ranks between family and species. 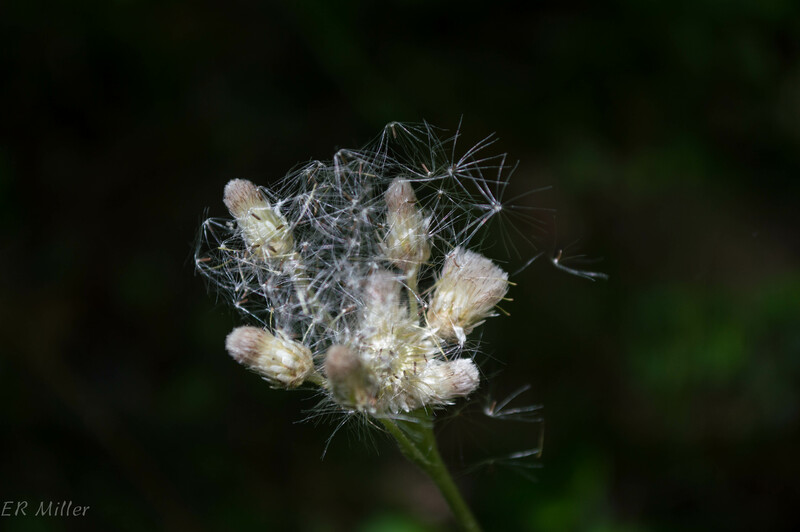 If you’re really interested, check out the Asteraceae page at the Tree of Life Web Project, or Classification of Compositae from the International Compositae Alliance. 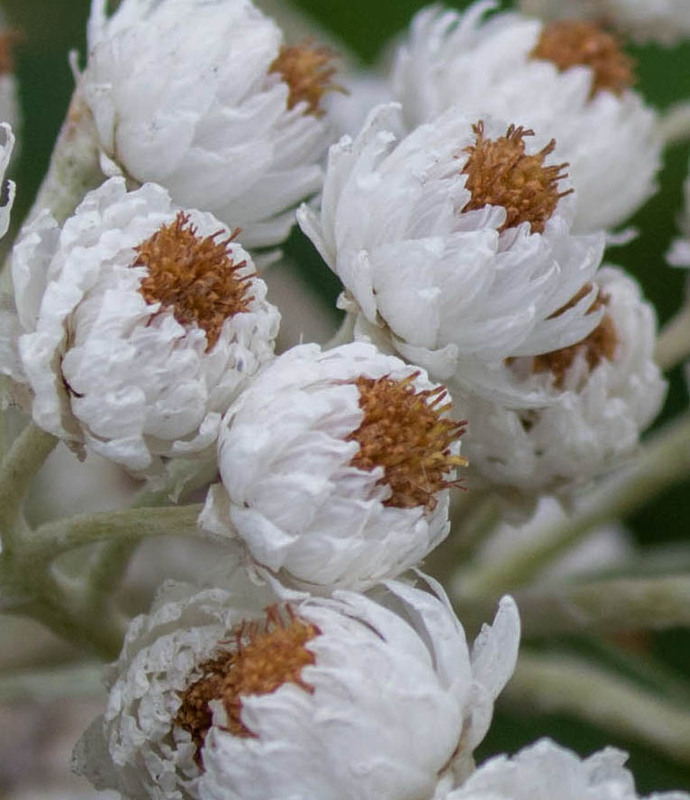 So rather than another detour into taxonomy, here’s a gallery of aster family oddballs: flowers that might not look like composites at first glance. 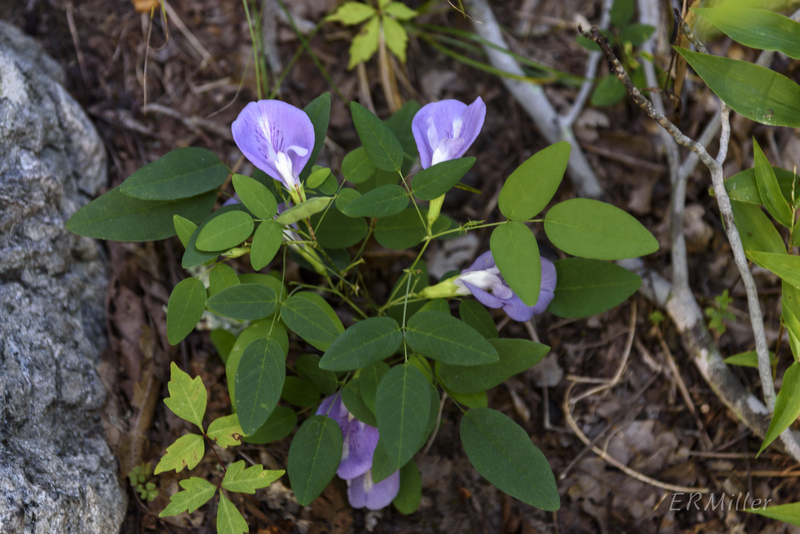 Maryland Biodiversity Project has only 2 records for this plant, including one in the piedmont, so it’s unlikely you’ll see it in this area. But you’ll see it often in floral arrangements. 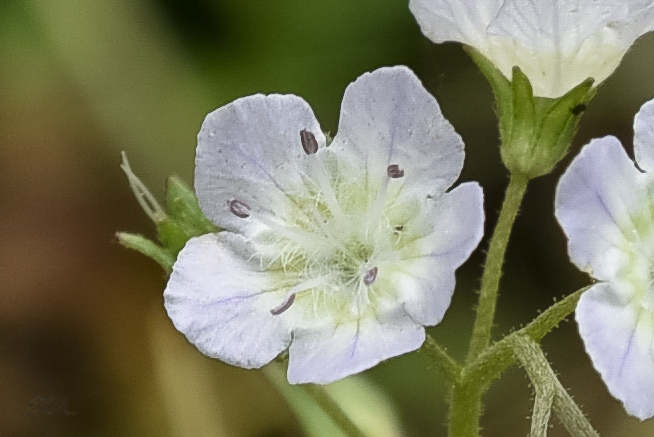 The yellow-ish centers are the disk florets, and the white outer parts are bracts; there are no ray florets. 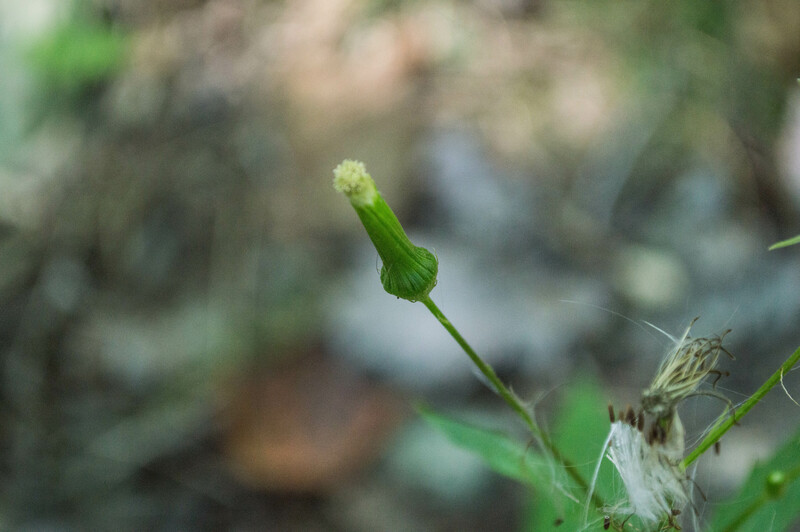 This plant is found throughout the Maryland piedmont. White disk florets only, surrounded by green phyllaries. Look at those little seeds! Found throughout the Maryland piedmont. Click on the image and then zoom in to see the details: this head is showing four individual disk florets, each with a five-lobed corolla. There are no ray florets. Found throughout the Maryland piedmont. My apologies for not having a clearer picture. 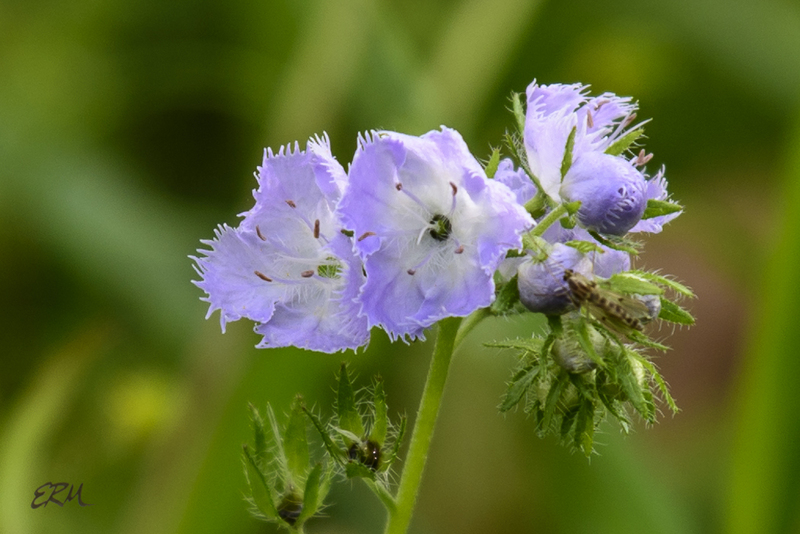 The flower heads contain disk florets only (no ray florets). Found throughout the Maryland piedmont. Disk florets only. Found in most of the Maryland piedmont. Disk florets only. 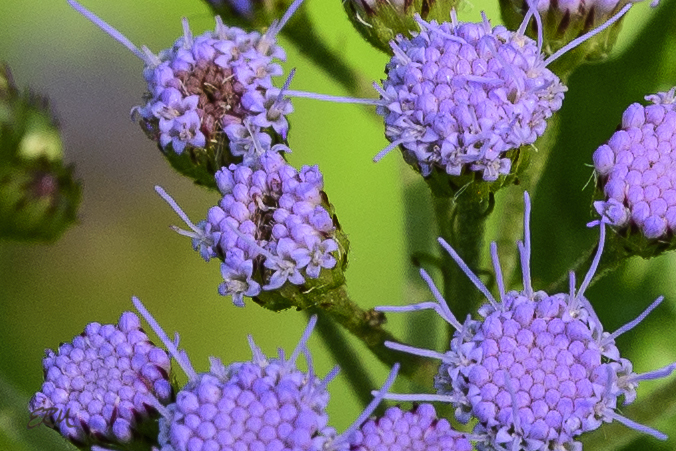 I’ve been trying for two weeks now to get some up-close, detailed shots of various flowers to write a post about plants currently and formerly classed in the genus Eupatorium. 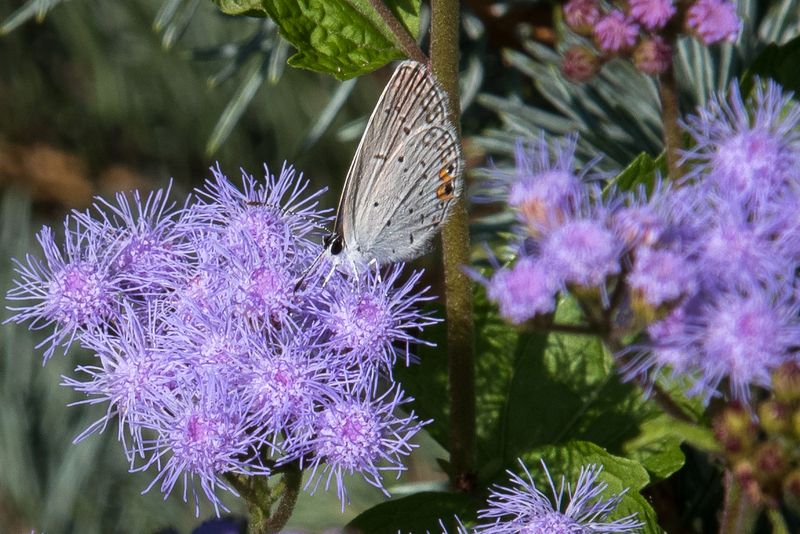 With blue mistflower it’s fairly easy as there’s a nice clump growing in my garden. 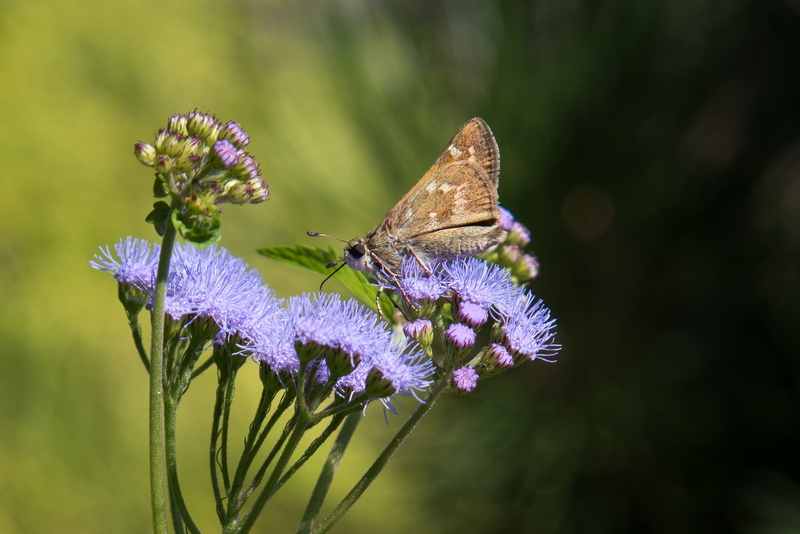 But a skipper and a butterfly just wouldn’t leave the plants alone. I’m not complaining; it was a good opportunity and a pleasant way to spend time on a lovely afternoon. 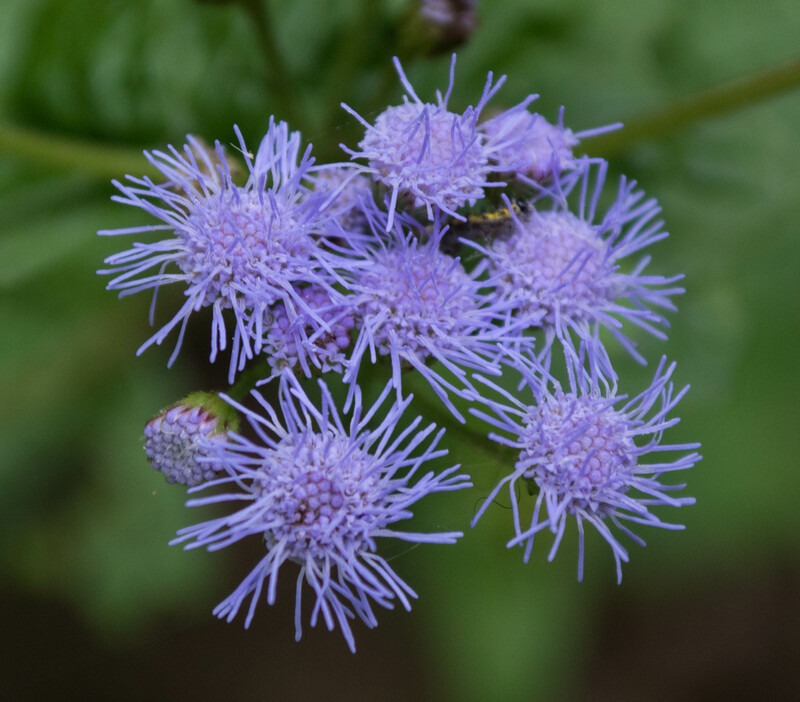 Blue mistflower is a common plant of partly sunny, wet places – you’ll see it frequently close to the banks of the Potomac, where it blooms from mid to late summer (at least). It can be found from Florida north to New York, east to Texas, and from there north to Nebraska. 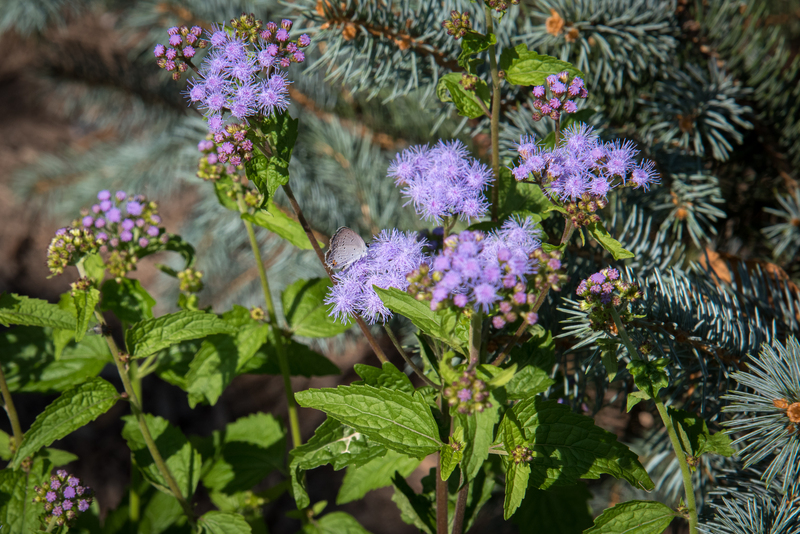 It’s a nice native alternative to the similar-looking common garden plants known as ageratum, about which a plantsman at a botanic garden where I used to volunteer would always roll his eyes; he called them “droopy Maryland swamp plants”. Don’t know where he got “droopy” from. Anyway, they are growing so vigorously in my evergreen garden – which isn’t particularly wet – that I’m a bit worried they’ll become weeds. Yet another in the series of Eupatorium-type flowers, formerly named Eupatorium coelestinum. Note once again how similar the flowers are to the others I’ve posted about in the last few days. 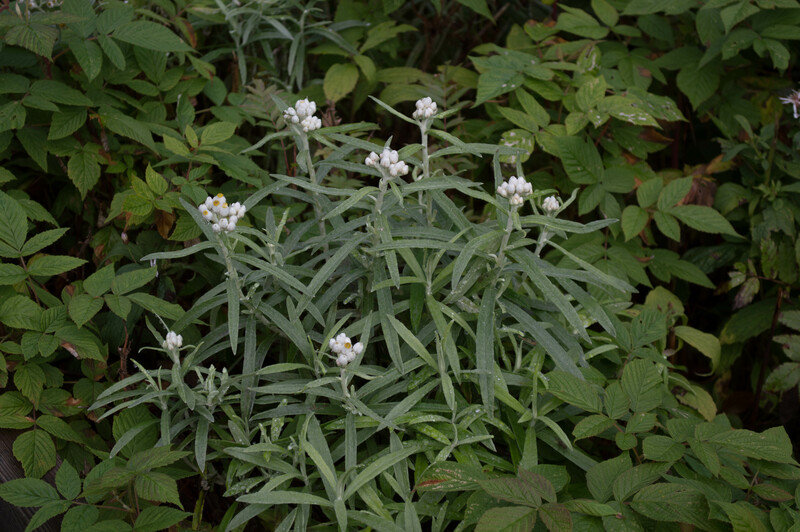 This plant grows up to three feet tall, and has triangular leaves with short petioles. 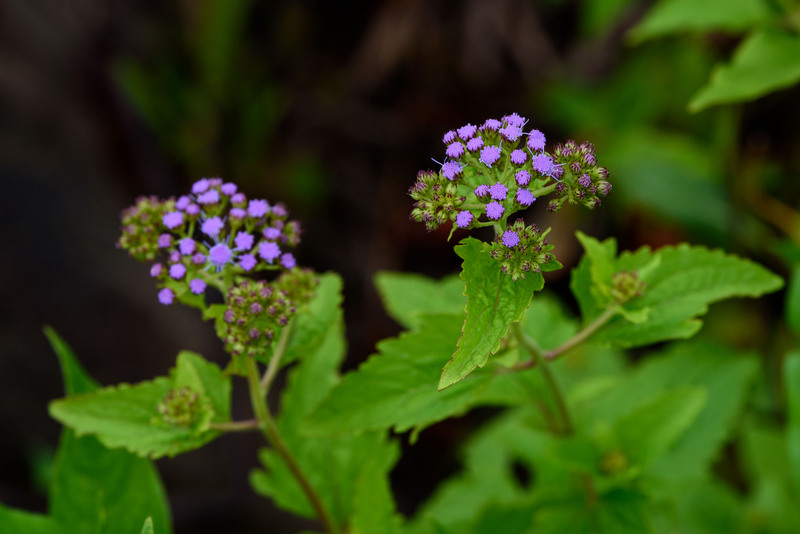 It’s closely related to the common garden plant ageratum. Its native range is from Ontario and New York south to Florida and west to the central and southern Great Plains. and one more picture for fun .